Cyclone Idai has claimed the lives of 2 pupils in Eastern Zimbabwe. The students had been asleep in their dormitories when the landslide hit and knocked over a wall in their school. 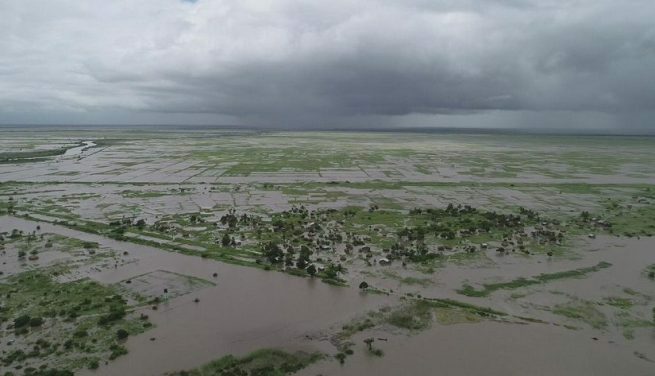 Cyclone Idai has also cut off power and communications along the Zimbabwean border with Mozambique. Roads in both Mozambique and Zimbabwe remain closed, and a few airports remain shut down. Zimbabwe has declared a state of emergency after homes and bridges have been washed away by the floods, with over 31 dead in the region. Despite the police urging drivers not to cross the floodwaters, three people have been reported missing after a school bus was washed away after attempting to cross a flooded river.